You care about your business, right? You want it to run more efficiently? You want every aspect of it – except energy bills and carbon footprint – to grow? If the answer to all three questions is a resounding yes, then get along to the 2014 SustainEx event at the La Mon Hotel and Country Club onApril 9-10. Many of the top industrial players in this rapidly growing sector will exhibit and demonstrate the latest technologies in energy efficiency management, waste resources, renewables and new technology. The free, two-day event – driven by the Sustainable Ireland waste management and renewable energy magazine in association with Invest NI – offers unrivalled opportunities to connect decision-makers, visitors and exhibitors under one roof, courtesy of an extensive seminar programme with high profile speakers and panel discussions. Among the major contributors to this year’s event at the Gransha Road, Belfast hotel are Ian Garner from waste-reduction champions WRAP, Arup’s Diane Emerson, an expert in the methods and strategies of sustainable construction, Richard Robinson (McLaughlin & Harvey), who has expertise in climate change and biodiversity, and Invest NI’s Ciaran O’Reilly, who will share his inimitable knowledge of RHI (Renewable Heat Initiatives) and ROC (Renewable Obligation Certificates). A packed programme – which will be introduced by well-known entertainer and mentalist David Meade – includes workshops on resource efficiency and cost savings – taking action on food and packaging waste – energy efficiency -sustainable construction and renewable technology. Case studies from a number of industries such as hospitality, food processing, manufacturing and construction will showcase the real results than can be delivered across any industry sector. 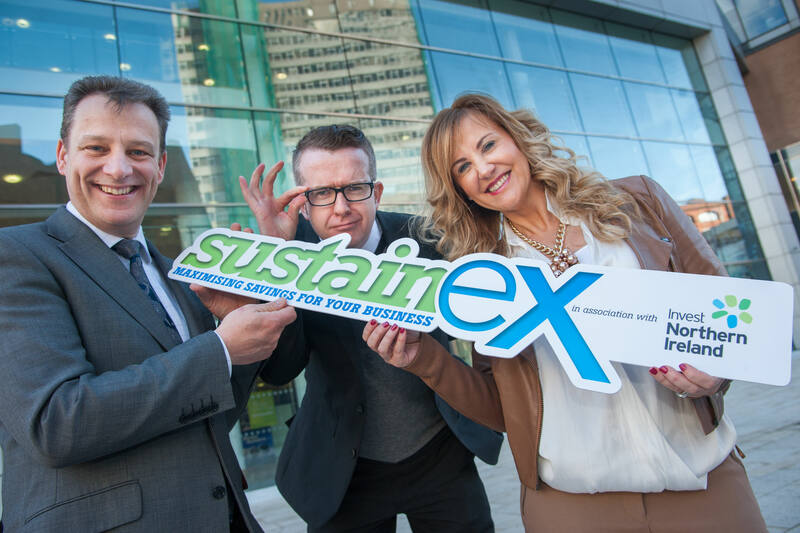 SustainEX 2014 is an informative, interactive, enjoyable event which has become one of the most eagerly-awaited diary entries for those involved in, or interested in making their business, more environmentally friendly, more efficient – and more profitable.